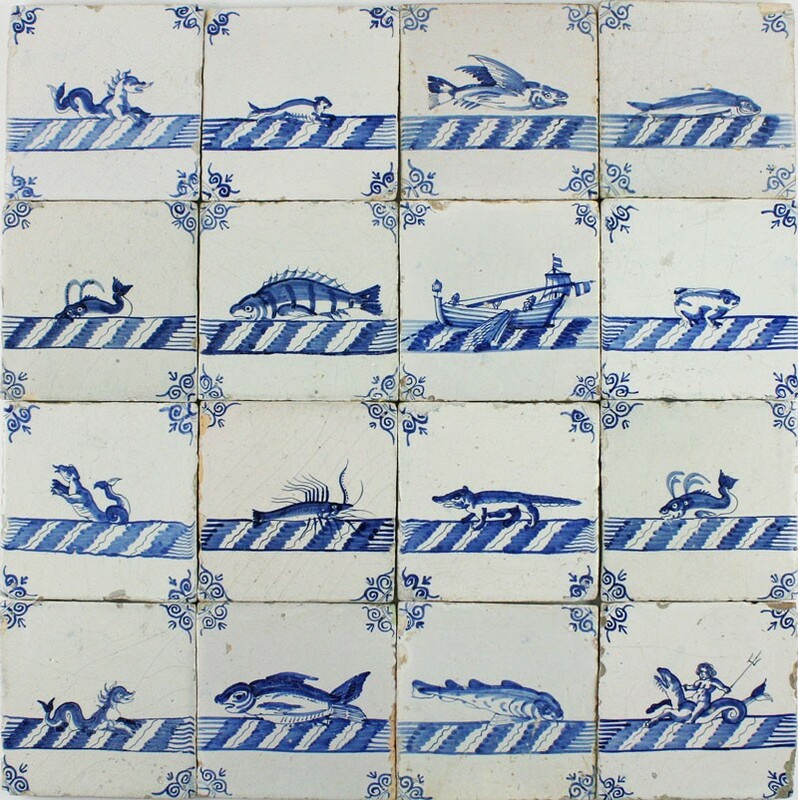 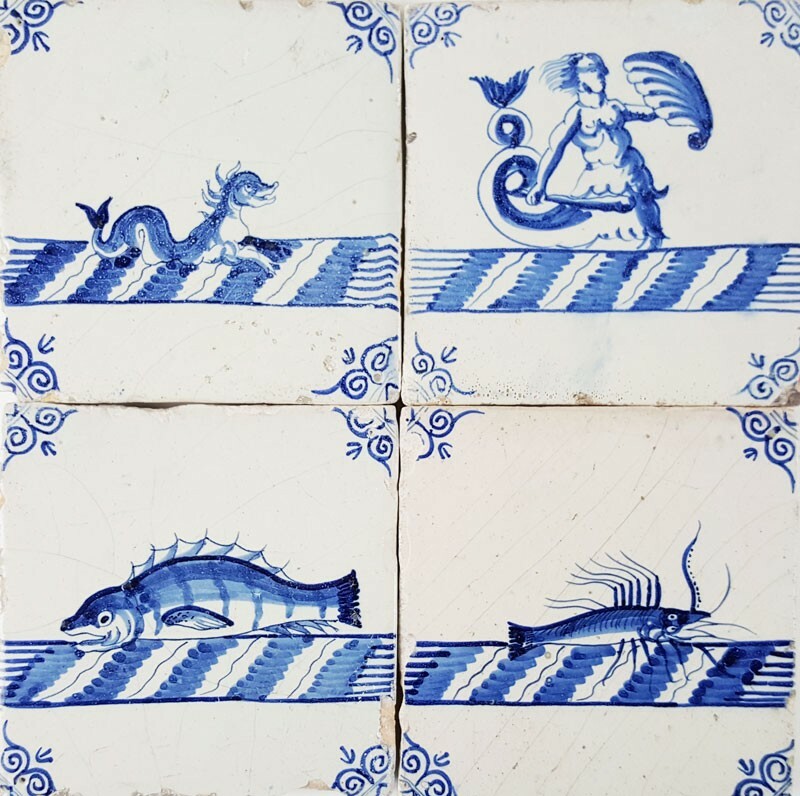 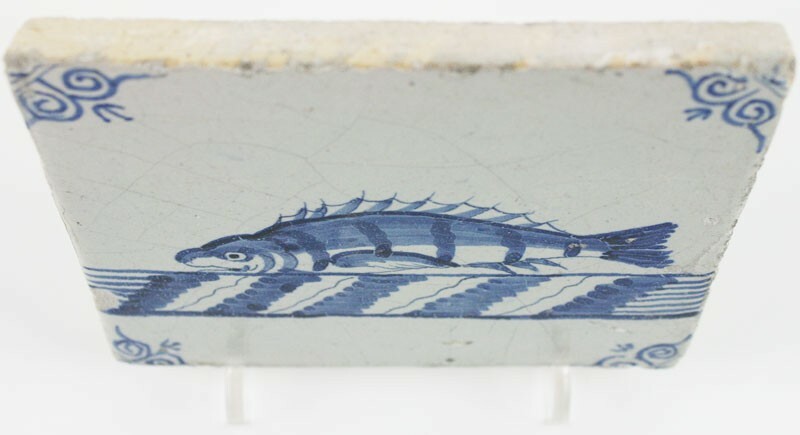 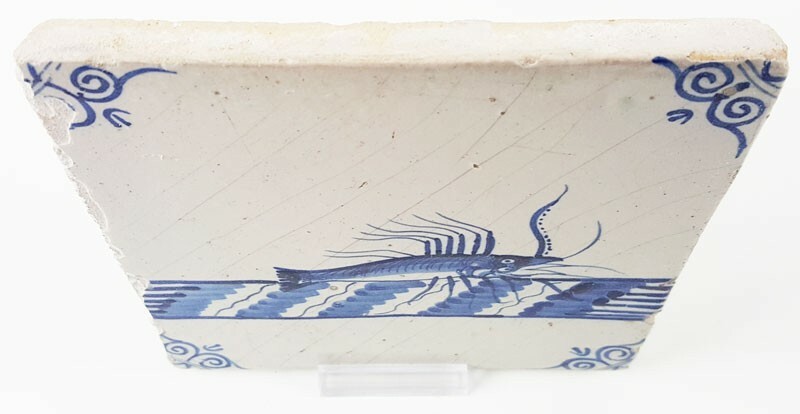 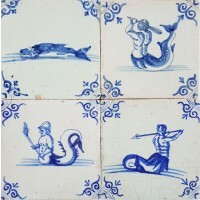 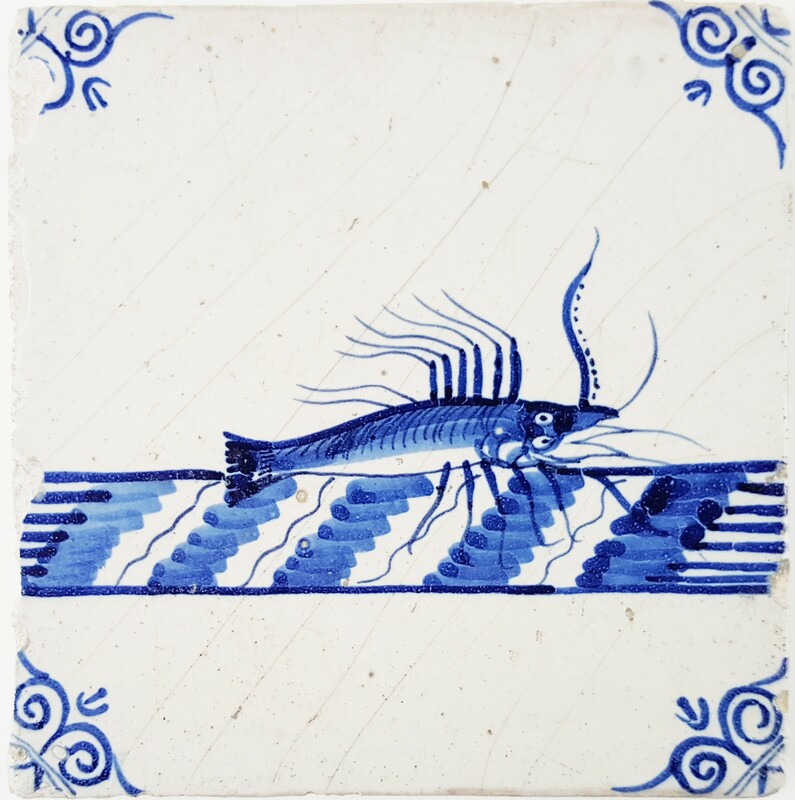 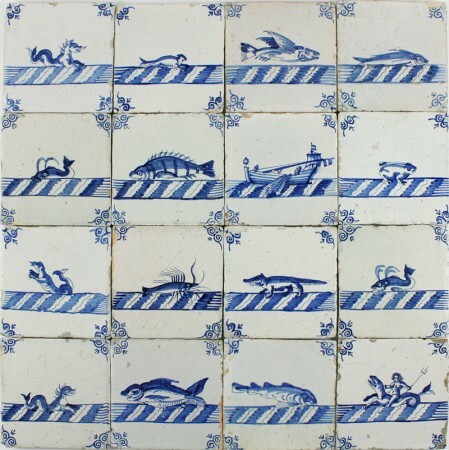 This is a very rare set of antique Dutch wall tiles. 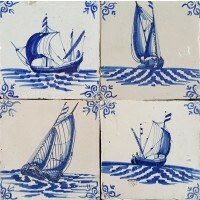 The tiles can be placed in a horizonal line, creating a sea scenery. 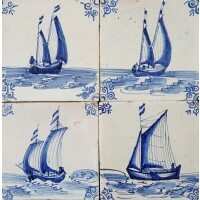 The set was recently exhibited in a Dutch museum as part of a temporarily maritime exhibition. 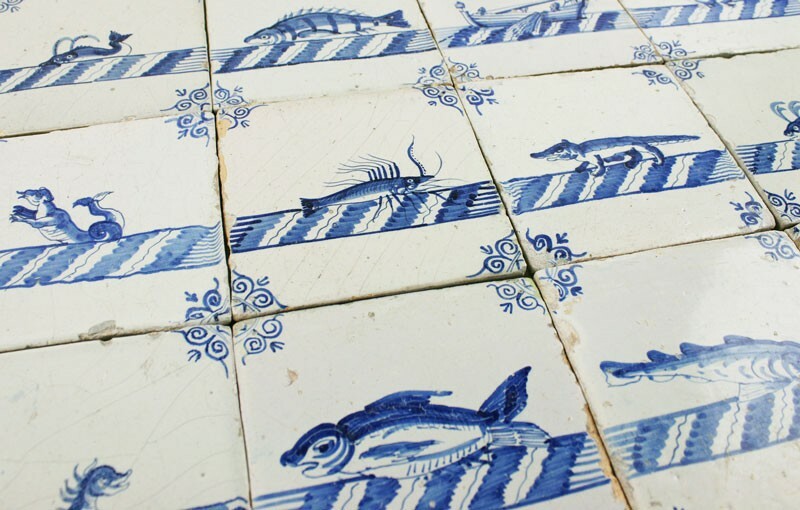 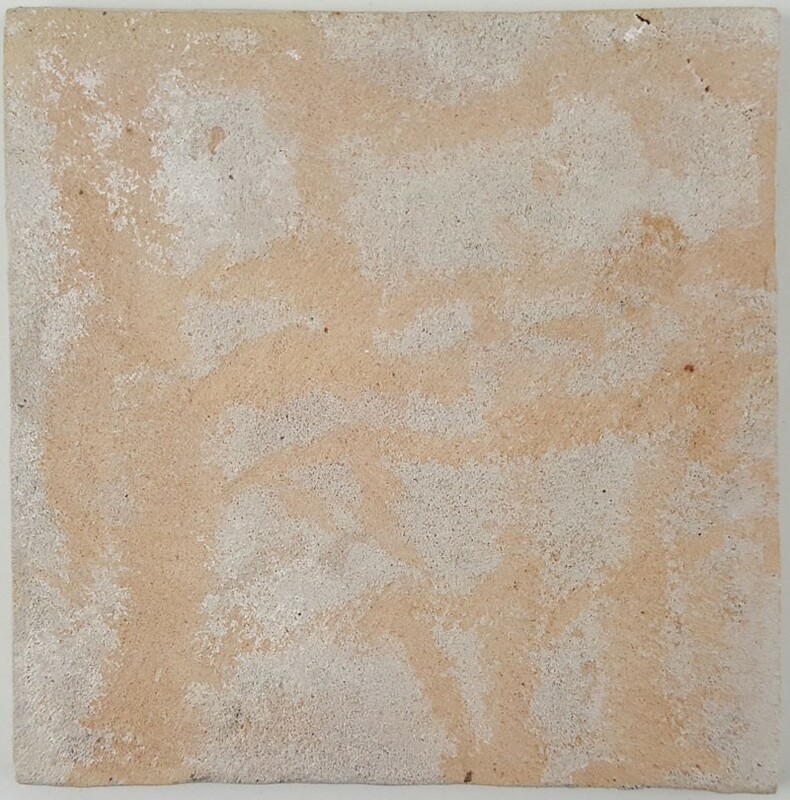 The tiles have been prepared to be reused and are therefore suitable to use for an extraordinary tiling project. 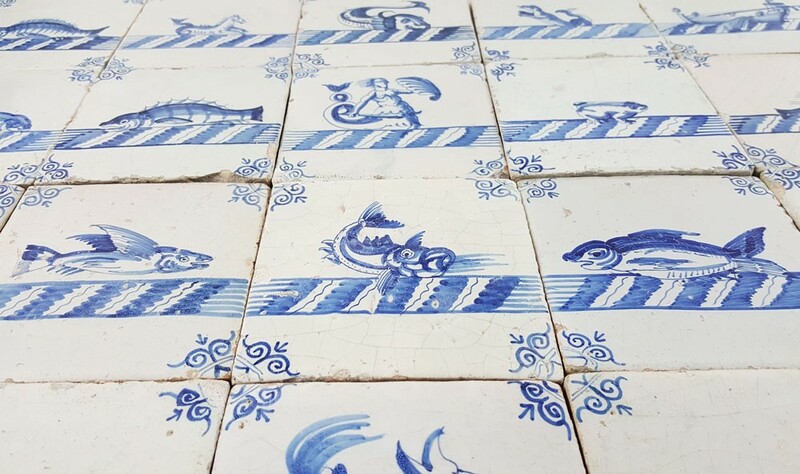 The tiles are decorated with 'ox-head' corner motifs and depict all kinds of sea creatures, such as a perch, shrimp, crocodile, frog and more. 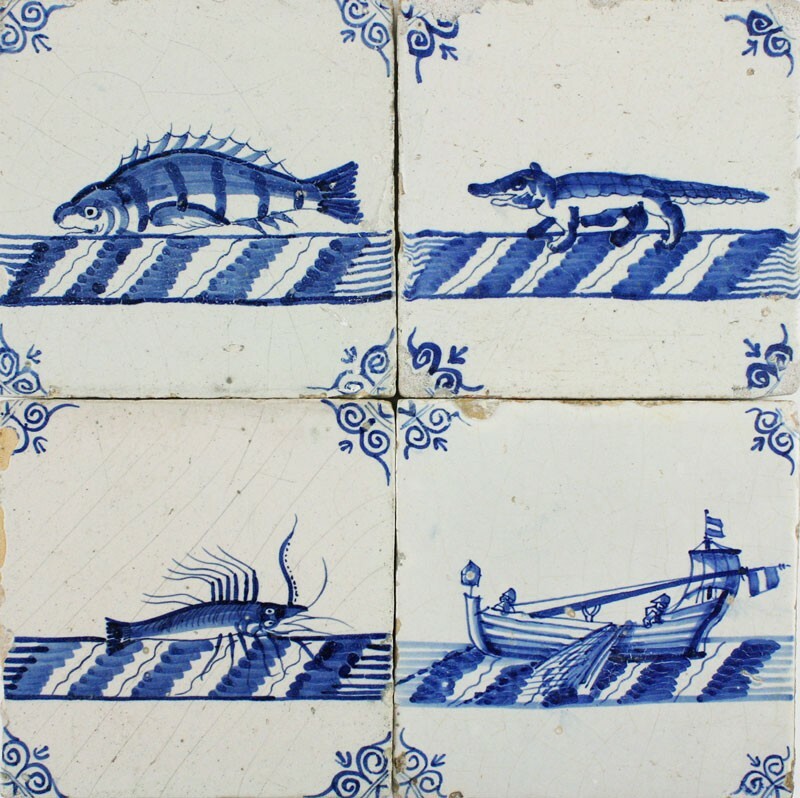 There is also a fishing boat (trawler / dogger).